Okay, yet again I'm going to remind everyone reading that my intent here is not a review or a critique. That's not what I do. Instead this is watching the various episodes of My Little Pony with the intent of pulling out any details that can help inform the worldbuilding around the setting itself. That includes cultural events, festivals, architecture, clothing styles, references to other cultures, and whatnot. I've been doing this for all the prior generations, and I have finally hit the current one. As always with the first episode of a series, this is going to be long because there are lots of details at the beginning. Summary: Twilight gathers friends against her will to oppose the legendary Nightmare Moon. Celestia voice over, making the introduction story-book-y. Right from the beginning we're getting backstory and history for the setting. Celestia isn't introduced by name though, she's referring to herself as the 'elder sister'. Magical land of Equestria, not kingdom, not world. Two regal sisters, raising the Sun and Moon with their unicorn powers. Now it's called a kingdom. Let's see if this is referred to as a Kingdom anywhere else. Here we have the Elements of Harmony in their assumed 'base' form, a number of jewels in an elongated old single cut style. And the elder sister banished her jealous younger sister *forever*. The architecture in the illustrations are interesting. They're thatch-covered roundhouses, a very common construction in ancient Europe (10th century BC to 5th century AD), and many places in Africa. First view of Ponyville in the intro. This is actually a fairly respectable sized town. Okay, here we are at Canterlot, though we don't know it's called that yet. We're in an area that is very open, with hills in the background. The architecture looks a lot like mushrooms, but the decorations and general styling seems to resemble Russia in the Imperial Period in the 1700-1800 range. Lots of color, patterns, and rounded shapes. Is this Twilight's actual residence? For a student, it's freaking huge, with a massive private collection. She's too casually throwing books around for it to be anything other than her own stuff. And even then, she's showing no respect for the books themselves. Or for Spike for that matter. Spike is aware of the Mare in the Moon mythology. Stars will aid in her escape. How? I'm curious as to the range and/or capacity of Spikes' letter-transport breath. Okay, the sky-chariot. Pulled by two pegasi. It has the appearance of a Roman Triumph Biga, a specific kind of chariot. The major difference being that two-horse chariots are normally drawn on a central pole with traces (leather straps & chains) on the outer sides. Two poles are normally used for odd-numbered horse vehicles in order to have one horse central (where the single pole would normally be). The poles are oddly curved, by the way. There must be some strange condition with it being an aerial chariot that a land chariot doesn't need. Interestingly in Roman mythology a Biga represents Luna, the Roman Goddess of the Moon, where the Quadringa (a four-horse chariot) represents Apollo the Sun God. Summer Sun Celebration moves around every year. Excellent introduction to Pinkie there. That's pretty much her in a nutshell. Sweet Apple Acres. One rather large barn, in an extremely elaborate Prairie-stye barn 1930's style that evolved from the earlier Dutch-style barn. Here we have a gabled roof with dormers (unusual in a barn), what appears to be a vent tower that's been transformed into another room, and the distinctive peak projecting above the 'hayloft' that marks it as a Prairie-style. Several smaller structures, including a chicken coop and a set of identical storage sheds in a row. The Apple family's distinct accent is odd as nobody else in Ponyville seems to have it. Rainbow Dash demostrates Pegasi abilities with weather manipulation. The rest of Ponyville is very Tudor, with timberframe construction and thatched roofs. The town hall is interesting. Still Tudor timberframe, like the rest of Ponyville, but very distinctly round with elaborate dormers on a straight-shingle roof. The interior appears to be one large room as well, like a small fully-enclosed Globe Theatre, just a very narrow version, like a tower. I missed the switch between the town hall and the boutique. The library has no analog in real life as far as I know, as there are no hollow trees of that size that are still alive. The interior is following the concept that the construction is organic and has to follow the lines put down by the tree itself. Those four stars are actively moving into a configuration around the moon. I love Nightmare Moon's 'yeah, I'm bad. What of it?' attitude. Nightmare Moon demonstrates weather control, and a form of shapeshifting, as well as the ability to keep the Moon in the sky. Pinkie demonstrates her serendipity powers. Listing of five Elements: Kindness, Laughter, Generosity, Honesty and Loyalty. The sixth is unknown. So Celestia kept that one a secret deliberately? And the last known location was the Castle of the Royal Pony Sisters. The ponies are really disturbed by the Everfree Forest. Nopony goes in, nopony comes out. It's not even considered to be part of 'Equestria' by Applejack. Manticore, a creature from Persian mythology. This specific version, however, seems to be straight out of D&D. The thorn is a direct reference to Androcles and the Lion from Aesop. Definite shapeshifting from Nightmare Moon, as she was quite literally the thorn. Honestly Nightmare Moon doesn't seem to be trying very hard here. She's pulling little tricks of very random levels of threat. They're more delaying tactics than actual attempts to stop the Mane 6. That's an interesting spell.  It merged Rarity's tail hair with the sea serpent's mustache. I'm not sure exactly how. "What's with you and falling off cliffs today?" This is pretty specific to Rainbow Dash. This is the first time Nightmare Moon is using some kind of ability to read a pony's desires, and shows knowledge of the concept of the Wonderbolts in order to create the 'Shadowbolts'. Not sure why the Elements of Harmony are now round stones with geometric gem symbols on them. Teleportation for the first time. I still love Nightmare Moon's attitude and voice acting here. "You're kidding right?" Rarity looks confused at first when her element is revealed. Twilight names the element of Magic. I'm still convinced she made an assumption there. And suddenly Celestia. She seems to be coming from the sun, so Nightmare Moon must have reciprocated the entrapment. And Celestia as the chessmaster is born. Luna's voice is... odd there. It doesn't sound right, even if you ignore later presentations of her. And of course the odd 'even younger' appearance she has that doesn't match the storybook sequence at the beginning.